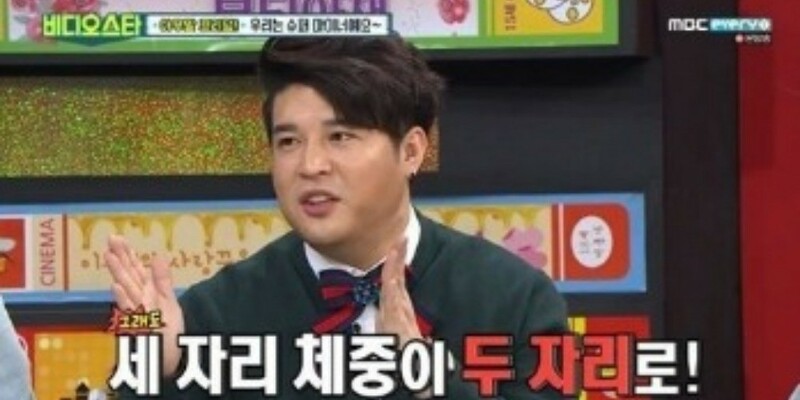 Super Junior's Shindong revealed he's currently on the final diet of his life. On March 20, Shindong, Yoo Sae Yoon, Muzi, Jo Jung Chi, and Rainz' Daehyun guested on MBC Every1's 'Video Star'. MC Park Na Rae asked Shindong, "I heard you're on a diet nowadays. But I also heard this is the last diet (of your life)." Shindong replied, "I've made up my mind. If I don't succeed this time, then I'm going to give up forever." MC Kim Sook then asked, "How much did you lose so far?" Shindong answered, "I lost 7kg (15 lbs) in 2 weeks" and added, "I weighed a lot but my weight went from three digits to two. I don't have a weight goal but I plan to go on a long-running diet without yo-yo effect." Do you think Shindong will be able to slim down for good this time?